If you’re serious about your blogging, one of your aims will be to learn as much as you can, right? You know that the only way you’re going to move forward with your blog is by educating yourself, then applying what you’ve learned into your style, techniques, and strategies. Blogging is for life! That’s what I tell almost anyone interested in starting a blog today. It’s not something they can start doing now and then decide to stop in a few months or even a few years time. If that’s the case, then there’s no point in starting, right? And in all honesty, I can’t imagine anyone wanting to start a blog with the notion that they’re only going to be doing it for a few years. It’s for life! As well as ‘blogging’ being a lifetime commitment, it’s also a constant process of learning and adapting. Whether you blog for business or for pleasure, the learning never stops as a blogger. So, once again, Without a doubt, the best way to become smarter at doing blogging is to learn and educate yourself. And, one of the best ways to educate yourself in blogging is by reading. By this, I mean following and reading informative and authoritative blogs in your niche. Connecting and learning from other more successful bloggers and influencers. And, of course, by reading a lot of great books too. Books are priceless educational resources, in my opinion. And I’ve read countless books that have helped me immensely with my blogging career over the last 8 years. What books should I be reading, Fabrizio? Well, I’m glad you asked because, amongst the many thousands of blogging books and guides out there, there’s a few that really stand out for me. Below I have listed some of the most valuable, inspiring, and most educational books for bloggers. This is my personal recommended reading list for you! Oh, and before you ask me the most obvious question, yes, I’ve read every single one of these titles below. Some of them in the form of digital books, others in good old-fashioned paperbacks. Please note: Some of the links in this post are affiliate links. This means if you click on one and make a purchase of a book or eBook, I may get paid a small commission, at NO additional cost to you. Thanks for your continued support. OK, so let's assume you're totally new to blogging and new to using WordPress. I know how daunting that experience can be. I mean where do you start even as someone totally clueless? Well, thankfully there's a great little book for newbies like you. 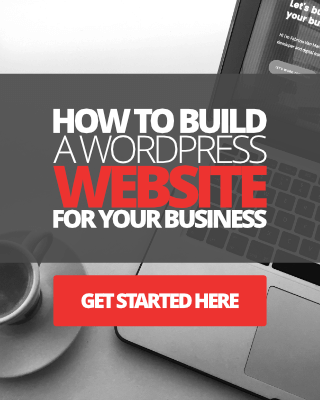 A complete manual to starting a WordPress site or blog, installing themes, plugins, creating a custom layout, to formatting your content. 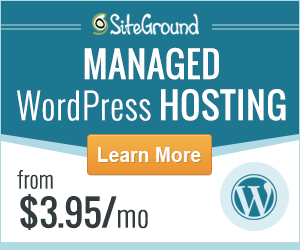 It's called WordPress To Go. 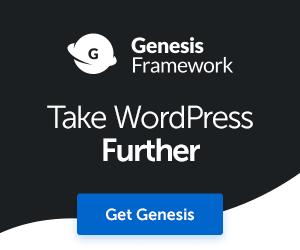 I recommend this book to anyone new to WordPress. This is another one of my favorite little eBooks from a professional blogger, eBook writing expert, and author Steve Scott. If you're looking for a simple step-by-step no-nonsense guide to starting a blog in no time at all, this eBook is waiting for you. 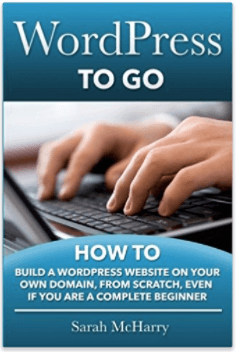 From a complete beginner's standpoint, this guide covers everything from registering a domain name, purchasing web hosting, to installing WordPress, themes, and plugins, plus lots more. 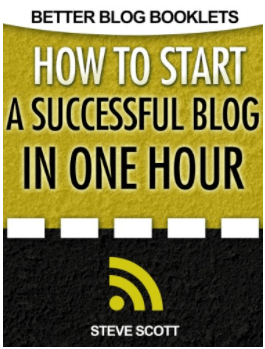 I highly recommended this one if you're a complete newbie to the world of blogging. I truly believe that to get the most from your WordPress blog or website, even from the very beginning, you need to have some basic knowledge of how HTML and CSS works. I'm not saying its mandatory, but it really does help. For me, learning basic HTML and CSS years back enabled me to do some cool modifications to my WordPress blog, saving time and money outsourcing those services. Of course, I now offer web design services myself. Most of what I learned from reading books and online courses have helped me immensely. 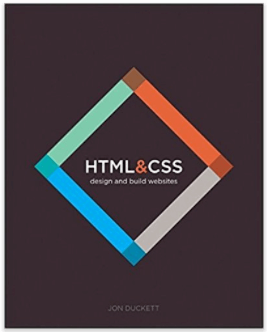 I'm recommending this book because it's very simple to understand, it's comprehensive and makes learning HTML and CSS fun. There are tons of books on social media out there, but only a few stand out from the crowd. 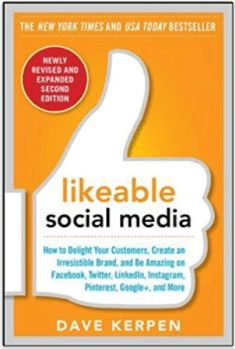 This book teaches you how to delight your customers (blog readers, subscribers), create an irresistible brand (your blog) and be amazing on Facebook plus all the other social networking sites. If you're looking for clear cut instructions on how to engage with your audience on social network sites on an absolute personal level, this guide is a must for any blogger in my opinion. 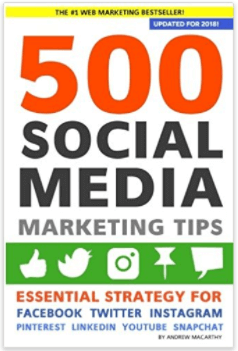 This is another one of my favorite social media books that I recommend for all bloggers. I have this one installed on my Kindle App for the iPad. I love this eBook because it's so quick and simple to use as a reference guide. If I need a few social media tips for using a specific platform, I can simply look it up. Facebook is STILL at the forefront of social media marketing, and probably will always be. Almost every business, solopreneur, blogger that I know is leveraging Facebook's features to drive more readers, subscribers, and customers to their websites. 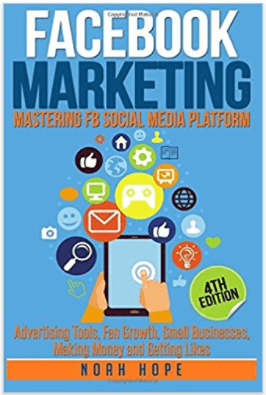 If you're totally new to using Facebook to market and promote your business or blog, this book is for you. It covers everything from increasing engagement to using advertising tools, etc. Chris Brogan is certainly well known the blogging world. Chris is a professional blogger, speaker, and New York Times best-selling author. 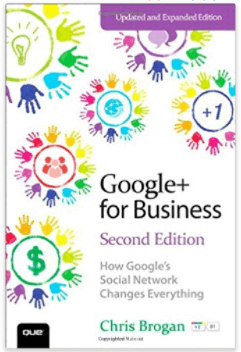 Google+ for business is just one of Chris's many insightful and educational books. I found this one particularly useful, because since the launch of Google+ (I know it's been a while), I've always felt like I haven't really paid attention to Google+. These days Google+ plays an incredibly important role in helping me connect with my blog readers and influencers. If you're looking to learn how to build a thriving community on Google+ the smart way, amongst many other things, I'd recommend this book to any budding blogger. Here's another one by Steve Scott and this is more of a booklet, it won't take you long to read at all. That said, the tips and suggestions contained are priceless. Especially for those getting into blogging for the first time. 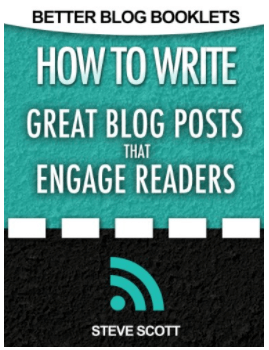 If you're looking for effective tips on how to write great content that will get readers commenting, sharing and subscribing to your blog, this book is for you. Writing filler posts and MVP's (Massive Value Posts) and more. The Author also provides useful tips and suggestions for blog post promotion, plus a lot more to mention. Grab it and read it. Every once in a while we become disconnected with our blogs. We sometimes get frustrated and lose direction and therefore find it hard to find any real motivation to blog. This book is genuinely the kick you're looking for to get off your lazy horse, and author Bryan Allain does a fine job of doing it. Bryan shares his insights, tips, and strategies that will help you find your blogging voice, and help you build the kind of community for your blog that you've always been dreaming of. 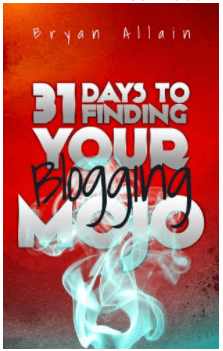 This book provides you with a Mojo action for each day, for 31 days, or until you get your juices flowing and find your blogging Mojo. The combination of great practical tips and advice, humor and a task for each day makes this one of my all-time favorite blogging books. And, a must if you're feeling as if your blogging is in need of some new direction. Darren Rowse is one of the biggest names in the blogging world. 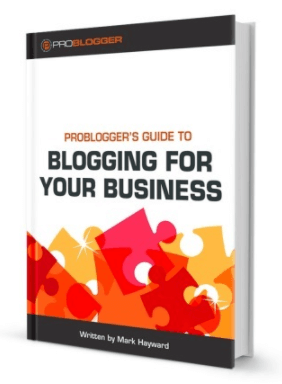 ProBlogger has become the mecca of blogging and a fine example of just how successful you can become at blogging. 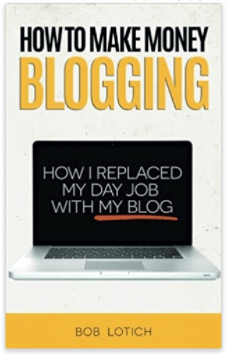 Darren has authored many great books on blogging. 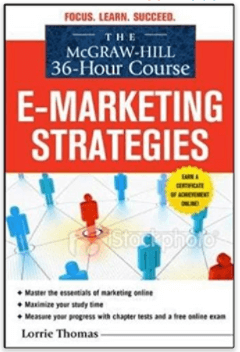 This particular one, however, is authored by online business strategies Mark Hayward. 'Blogging for your Business' is a step-by-step guide to building an online presence and achieving your online business goals through the power of blogging. One that's been sitting on my computer for a while, but still a good educational read from time to time. Chris Ducker is a serial entrepreneur, blogger and author of Virtual Freedom: How to Work with Virtual Staff to Buy More Time, Become More Productive, and Build Your Dream Business. This is a must-read book for all you small business owners, bloggers, and entrepreneurs. Because if you're finding it increasingly difficult to manage and carry out all of the tasks involved in building a business or a blog by yourself, you need to get this book. 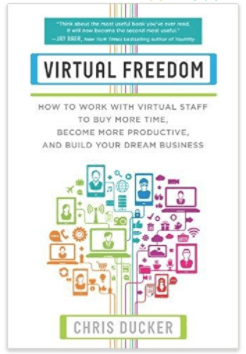 The book talks about outsourcing and building a team of virtual staff affordably. Chris's book has certainly helped me to open up my eyes to the possibilities of virtual staffing and outsourcing, and has encouraged me to do more of it to help me free up my time. When it comes to being more productive online we could all do with a little extra help. This book will certainly inspire and teach you how to become more productive with your online business. Even if you have other time-consuming commitments, such as 9 to 5 job or family. 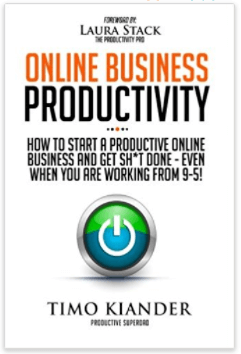 Online Business Productivity is co-authored by 18 leading entrepreneurs and experts, including Pat Flynn, Chris Ducker, Chris Guthrie, Corbett Barr and many more. Each of them shares their advice and strategies with you, great read. 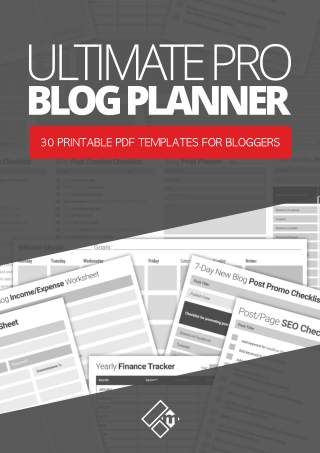 Oh look, it's my book, well actually this is a PDF template workbook that I think no blogger should be without. 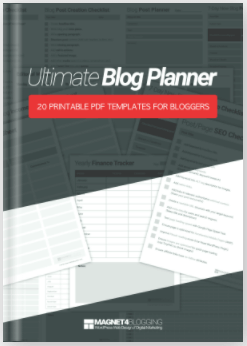 The Ultimate Blog Planner contains 23+ professionally designed full size printable templates to help you plan, manage, and grow your blogging business. Crush your blogging goals and get more done with my blog planner workbook. How much success you find with your blog depends on how well of a marketer you are. It's not just about being able to write great content, it's about being able to promote it to the right audiences. If you're just starting out and need to master the essentials of online and digital marketing, you need to pick up this book. Although I've had it a few years now, a lot of what's in it is still very much relevant, now more than ever. Once again, if you're totally new to blogging, or, have been blogging for a little while but you're not making much money. Or, you're not too sure HOW to make money from your blog, this is the book to start with. In this book, author Bob Lotich explains how he was laid off from his day job in 2007, and in 2008 took the plunge to start his own blog. Today Bob earns more money from his blog than he did with his day job, and with this guide, he shares the steps he took, including tips and strategies. Great little read for anyone NOT making money, or enough money, from blogging. This is another one of Darren's many successful books on the subject of blogging, and this one is maybe one of his most popular. 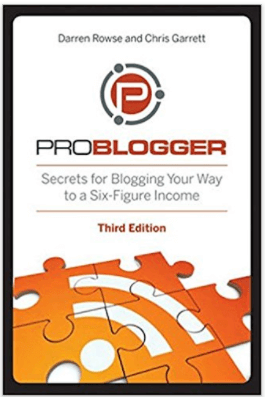 Secrets to Blogging Your Way To A Six-Figure Income is one of the most complete books there is out there on the subject of making money from blogging. Now in its third edition. The book is authored by Darren and another iconic name in the blogging world, Chris Garett. Need to take your affiliate marketing to the next level? Tired of earning just a few dollars each day with your affiliate marketing business? 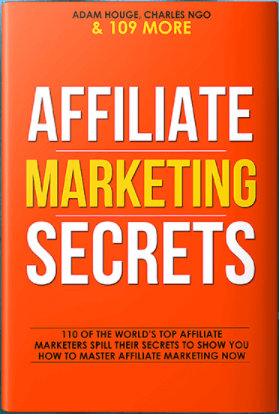 Affiliate Marketing Secrets contain more that 100 of the world's top affiliate marketers, (including myself), all revealing their secrets to earning money through affiliate marketing. This is a free guide, by the way peeps, but I don't imagine it will be for long so get your copy soon. I end this list with the book that started it all off for me way back in 2010.
Who is John Chow and what does he know about making money from blogging? John is an A-list blogger, one of the highest earning bloggers in the world, making well over $100,000 a month from his blogs. 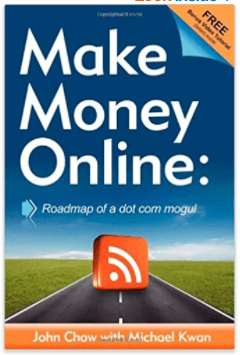 Make Money Online was one of the very first books I read on the subject of blogging for money. And, needless to say, I was totally inspired. Shortly after reading John's book, I started my first blogging venture, Magnet4Marketing, which later became Magnet4Blogging in 2013. 4 books that has transformed my life! 'In what way the book has helped you with your blog'. Just to remind you that I have read all of the titles above. Some of them have been on my Amazon Kindle App for iPad, many of them in paperback. Many of these books I've read several times over, and the great thing about them is that I never get board of reading them over and over. I'll be adding more books to this list in the future, so keep a close eye on any updates I make here. You can also subscribe to my newsletter to be updated.